are hilarious, horrifying and heartbreaking by turns. 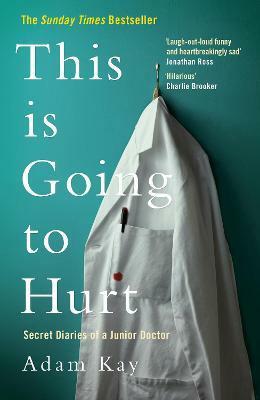 This Is Going to Hurt is everything you wanted to know about being a junior doctor, and more than a few things you really didn't. Adam Kay is a writer and script editor for TV and film. During his transition from doctor to writer he established himself as a musical comedian as frontman of Amateur Transplants, achieving great success and over 20 million YouTube hits. He lives in London.